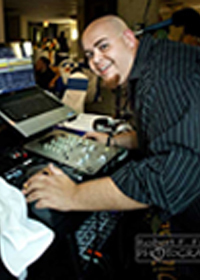 DJ Vinny Gonzalez has been a disc jockey or on air personality since 2000! He has done it all including private events, weddings, radio,and night clubs. Starting at the beaches in the beginning and moving into clubs and the largest radio station on the coast – “The Hot 93”. He has loved them all and is now doing what he loves which is entertain in all types of arenas. He will certainly become your best frien for your event and help you in all respects to make sure your event is the best it can be. Unique knowledge: Club hits and Old school hip hop.